We’re introducing the second wave of Snap Fitness Top Ten Personal Trainers! Thank you to everyone who entered and congratulations to our Top Ten Trainers. We have exciting things planned for these trainers in the upcoming year. Stay updated on our social media channels for all the latest information. A. Growing up, I wasn’t really into school sports and didn't enjoy participating in sports classes or athletics. I viewed exercise as a “chore” and didn’t have the education to understand the positive benefits it could have on my life. It wasn’t until late into my teenage years when I started strength training at the gym and took part in boot camps along the beach that I fell in love with exercise and realized the positive benefits that it would bring to my life. Fitness was so much more than just weight loss. It empowered me and gave me the self-confidence and happiness that I had never had before. Another thing I loved was that I was constantly making new friends who also shared the same passion for health and fitness that I had. I loved being around these like-minded people who constantly supported and inspired me to the best that I could be. I now love that I have a job that gives me the opportunity to share my passion with others who are going through the struggles that I once went through and hopefully change their live just like it did for me. A. I feel very lucky to be working at a gym that not only has an incredible weight training area but also a fully-equipped functional training room which enables me to incorporate both traditional strength training and functional training into mine and my clients routines. Each session is specialized to the client’s individual goals. No two sessions are ever the same. Exercising doesn’t have to be boring or repetitive. I enjoy constantly changing both my clients and my routine by incorporating a variety of training methods and also mixing up the exercises that are used. I am always learning new exercises and love to challenge my clients and myself by including it into their routines. A. For me, the best part is seeing someone achieve a goal they never thought they would achieve. I love that by sharing my passion for health and fitness with them, I can make a positive impact on their lives and help them to be the healthiest and happiest that they can be. A. I wish more people realized that exercise has so many more benefits than just the obvious physical ones. It can also give you the mental strength and confidence to push through any challenge you set your mind to both in the gym and in life. Living a healthy and active lifestyle also doesn't mean you can't have a social life or have to miss out on anything. I believe it's important to find a good balance and have a healthy relationship with food, exercise, and your body. A. I am certified in Personal Training, Sports Nutrition, and CPR/ First Aid. I am experienced in hockey, football, and track. I also developed an enjoyment for power lifting and bodybuilding. My biggest accomplishment to date is being named 2012 Mr. All Natural Minnesota-Teen Division. I also trained in the 2014 Mr. All Natural Minnesota-Short Novice Division. A. Styles change based on the client and their goals. Small Group Training is my favorite method of training. I love the atmosphere. My clients feel that nine other people pushing you are better than one. It is fun to be creative; my clients enjoy the variety of my training. I keep everyone’s body guessing. I am very direct with my clients. I always tell them what I expect and I ask the same from them. I expect hard work and no excuses. I'm open and very honest with my clients about what they need to do to accomplish their goals. I will do whatever it takes to make sure each one of my clients is diligent in the gym. A. I get no greater satisfaction then to see my clients succeed and find happiness in their health journey. A. You can’t out-train a bad diet! A. My fitness background goes back as far as I can remember. I grew up playing sports and some of my earliest memories are of me on a field or court. I was a four-sport athlete in high school and also continued playing basketball the college level. After graduating with a degree in Exercise Science and minor in coaching, I began training and have been at with our organization for eight years. A. My training style is what I would describe as a "Coach to Athlete" style. I treat my clients like athletes because I believe that everyone has an athlete inside of them and it's my job to bring it out. I also believe that connecting with your clients on a personal level and understanding what drives and motivates them is what really gets them the results they are looking for. Variety is also a great way to describe my style. I never do the same workout twice with a client. Constant change keeps the workouts fun, fresh, and challenging. A. Is it too cliché to say changing lives? I love helping a client literally change the course of their lives and making them see the amazing things that they never dreamed they could do! The body is an amazing creation, and it still gives me goosebumps when a client's face lights up after they do something they never believed they could. A. There is no such thing as "fitness maintenance"! The entire concept of getting fit and then just letting off the gas pedal and staying right there doesn't happen in real life. You are literally getting more or less fit daily so making sure you balance workouts and rest so you are constantly getting to where you want to be is a daily battle. Some days you win that battle and some days you lose. That's why having a trainer is key in keeping an objective eye on your progress. A. I have been involved in the fitness arena for over 19 years. I was inspired to engage in the profession after the unexpected death of my mother. She passed away due to complications of diabetes at the age of 49 and at 300+ pounds. I had to grow up watching people tease her for her weight issues, and it would break my heart. I have trained several of my clients at no cost due to personal training being so dear to my heart, and have now have a second client within this year meet her 100pound weight loss goal within a 12-month period. I have taught Advanced Pilates Fusion, Aqua Aerobics, and Spin Cycle classes and have been a Certified Nutritionist for the past eight years. I am also a Certified Police Officer for the State of Colorado. A. My training style is customized on a client-by-client basis. I feel the intense passion that I have for helping my clients reach their goals assists in guiding me through developing individualized programs for each and every one that I work with. My drive and determination is focused on not allowing my clients to fail themselves. It is never just a diet; it is always a lifestyle change. A. My favorite thing about being a Personal Trainer is being able to bring my passion, strengths, encouragements, and knowledge to my clients, and being able to speak life, motivation and self esteem into their lives. It is not how much money I can make or bring to my club, it is about having a one on one relationship with them and being able to help them reach their goals, whether it be weight loss, weight gain, conditioning, or toning. A. I wish everyone would get the concept that the path to a vibrant, more energized long, and healthy life is to know that 80 percent of our health issues are due to unhealthy eating habits; the other 20 percent is our activity level. Once you line up your eating habits, the rest is easy and that is when you will truly see everlasting changes and goals met. It is well worth the time, money, and effort to hire a personal trainer. A. Starting at a young age I was always a competitor and have been involved in athletics my entire life. Fitness has become one of the most important aspects of my life because it has been an intricate part of who I am. I went to Keene State College and graduated with a B.S. in Health Sciences with a concentration of fitness and promotion. Immediately after school, I helped run a strength and conditioning program for high school athletes with one of my professors. I also began freelance personal training out of people’s homes. Now I train at Snap Fitness, where I have been for the past four years. I have really enjoyed my time as a trainer at Snap Fitness because it provides me the versatility to work with multiple populations. I have been able to offer training camps for young athletes, personal training for older adults, run weight loss and obstacle race programs, among many others. A. I don’t think I can say I have one single style of training. Each individual brings their own unique goals and circumstances to the table that requires specific training guidelines, as well as a change in attitude to best connect with each client. For example, I would not treat my 16-year-old athletes the same as my 96-year-old client looking to improve general strength and balance. I use a science-based progressive programming method, specifically designed to meet the individual goals of each client. As anyone in the fitness industry knows, it is a business that is constantly changing and developing. That is why I believe the most important part of my training style is that it is always evolving. A. My favorite thing about personal training is guiding clients to a goal that at one time may have seemed impossible to reach. Most members come in with an end goal in mind that is far off from the position they are in at that moment. Each client represents a journey to that end goal and along the way there are ups and downs. Keeping their minds focused on that end result and seeing that come to fruition provides no sweeter feeling for me. The happiness that people achieve from reaching their goals is why I do this job. A. I wish that people looked at health and fitness as a lifestyle and not just a way to reach a short-term goal. Often I get asked what you do to look a certain way. While it is important what I do for training, it is more important how I choose to live my life. It takes more than a few workouts and eating a couple balanced meals each week. It takes commitment to change your lifestyle and more importantly, keeps those changes in the long run. 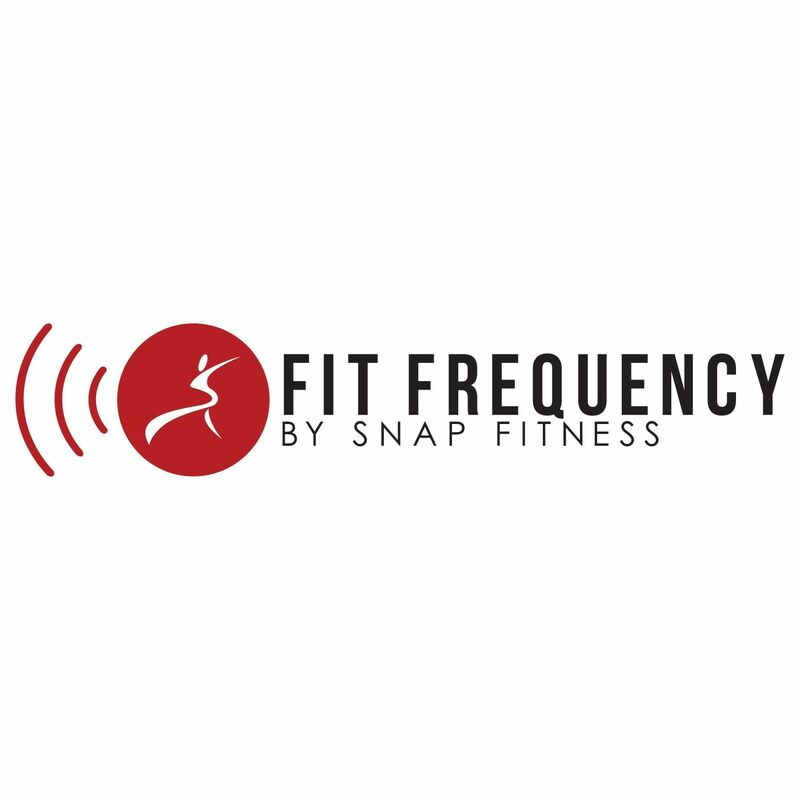 If you’d like to meet the rest of the Snap Fitness Top Personal Trainers, click here.